Alhaji Mohammed Babatifin Mustafa, Barade Arewa Nupe was born in Bida, Niger State on October 24th 1958 to the family of late Alhaji Ibrahim Ndaliman Mustafa, Wokili Niupawa, Ile-Ife and late Hajiya Aminatu Ndaliman. He was brought up in Ile- Ife, Osun State. Alhaji Mustafa attended Ndayako Primary School, Bida; Federal Government College Warri; School of Basic Studies, Ahmadu Bello University Zaria; and Post Graduate School, Nigeria Defence Academy, Zaria. 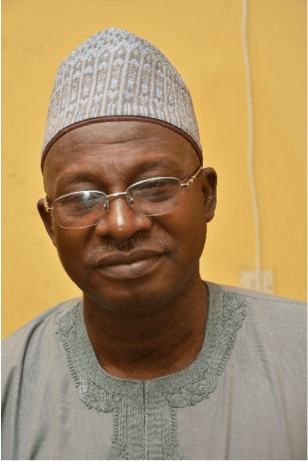 Alhaji Mustafa holds a Bachelor’s of Science degree in Economics and a Master’s in Development Studies after which he started his career as a Planning Officer in 1992 under the defunct Niger State Ministry of Economic Development. In this role, he was seconded to the Bida Agricultural Development Project (BADP) as a Project Economist and Head of Monitoring and Evaluation. The Project later became the Niger State Agricultural Development Protect and is now the Niger State Agricultural and Mechanisation Development Authority (NAMDA). In 1995 he rose to the position of Director (Planning, Monitoring and Evaluation), and having spent twelve (12) years as a substantive Director in the Niger State Civil Service he was appointed Permanent Secretary in 2007, posted to the Department of Budget and Planning. He is now the Permanent Secretary Planning/Secretary Niger State Planning Commission. Alhaji Mustapha in his spare time enjoys reading, research, travelling and playing scrabble. Alhaji Mustafa is married with five children and a grand-daughter.